I’m very keen to see what Joel comes up with as I am fascinated with some of the keyboards in the lab, including an original keyboard for the Apple Macintosh from 1984 which famously has no arrow keys so that users were forced to use the mouse. 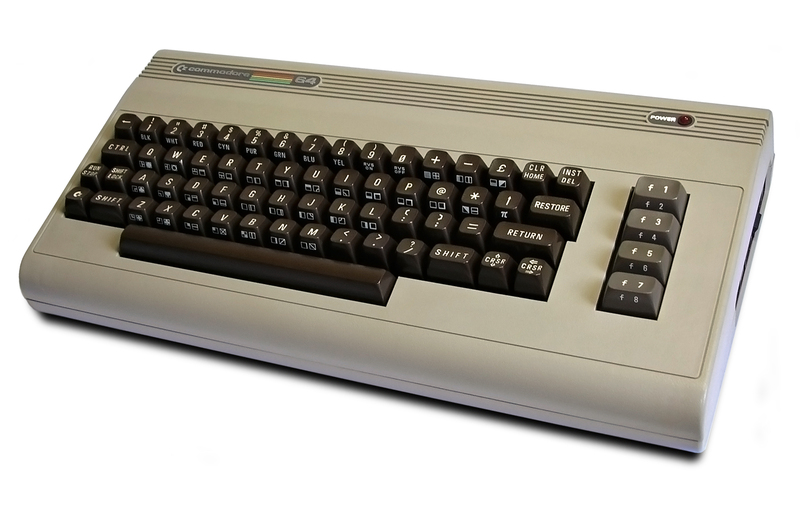 As I’ve written elsewhere on this blog, the lab also has Commodore 64 computers which for example, came with both a ‘Commodore’ key that gave the user access to an alternate character set as well as four programmable function keys that, with the shift button, could each be programmed for two different functions. By contrast, Apple II computers came with two programmable function keys and Apple III, IIc and IIe computers came with open-Apple and closed-Apple keys that provided the user with shortcuts to applications such as cut-and-paste or copy. I hope this is the first of many more artist residencies in the lab!